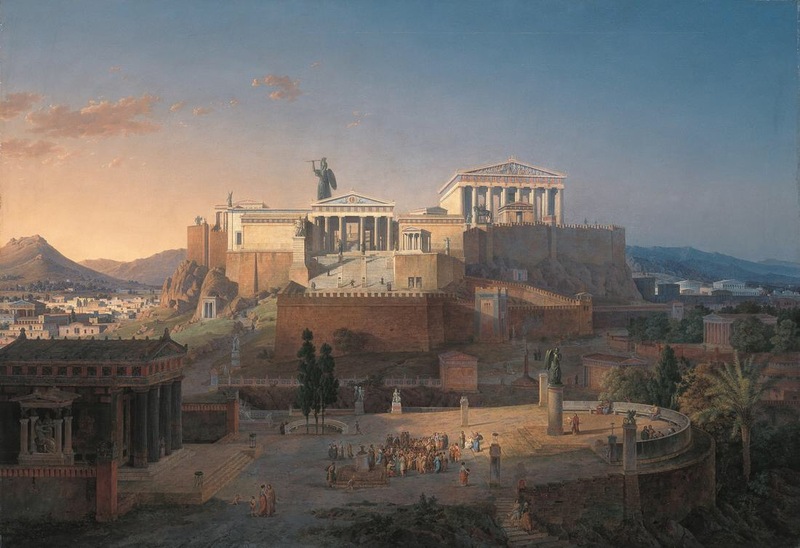 As modern Greece struggles with its economic problems, it’s worth remembering: there isn’t a decent concept for living we don’t have the Greeks to thank for. The ‘moral character’ or prohairesis, was brought to the world by Aristotle in the eminently readable Nicomachean Ethics (which first inspired this blog five years ago). Prohairesis is the capacity to reflect, and not be carried away by what our senses serve up. In the Platonic Academy, prosoche referred to the discipline of “attention” – noticing the judgements that we make about ourselves and the world. Once observed, the next step is observing whether or not these judgements are in ‘conformity’ with the reality of our situation; and correcting them as needed so as to maintain appropriate behaviour and equilibrium (ataraxia). Prosoche is broadly equivalent to the Buddhist disciplines of ‘mindfulness’ as developed through meditation. For Aristotle, bravery is the first virtue. It came up at work this week. Prohairesis, Prosoche and Areté: character, consciousness and choice, all come together in sophia σοφία; the title above, and Greek for ‘wisdom’ – the root of philosophy φιλοσοφία philo-sophia. Whatever the state of their οἰκονομία (economy), Greeks deserve our enduring thanks; for all they invented in the life of the mind. Not really related to your topic… but I wonder how it affects the psychology of a nation to know that their best days were more than 2000 years in the past. No matter how proud you may be to have invented all these concepts, it must give you a feeling of inferiority to learn of the extent of the accomplishments of your extremely ancient ancestors. Hmm, I’m unconvinced by Pinker, I’m afraid. It seems to me that violence has been replaced by economic forces which enable the rulers to obtain social and political power with almost no personal physical risk. Also, the spread of media means violence can be imposed/exacted on a relatively small number to coerce the rest of society, as in Budapest 56, Prague 68 and Tiananmen Square 89. Still a bit off-topic (but topical! ), on the psychology of a nation, I’m thinking about the way a race is shaped by its founding myths and dramatic historical events. For the English, I believe 1215 and 1688 have given us a fervent belief in the rule of law, the idea that rights are something to wrest from established power and then codify in writing to protect. Whereas for the French, laws seem always to have been more aspirational in nature, with the revolution proclaiming equality as a long term goal rather than a description of how things are. (The French are currently debating an animal rights law but this would apparently have no effect on the production of foie gras). A mix of the 2 approaches would be better, but an economic and political union where these different ideas just collide rather than compromise is surely going to encounter a few problems.